Sinethemba Jantjie to be laid to rest on Saturday April 06 2019. A memorial service for the late Free State Stars midfielder Sinethemba Jantjie will be held at Bethlehem in the Free State on Thursday. The star died following a car accident on Monday Morning. Ea Lla Koto have released the details of the Eastern Cape-born player’s memorial and funeral services. 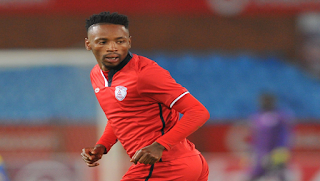 The 30-year-old joined Stars from Mbombela United in June 2016. Meanwhile, Free State Stars has postponed their weekend Absa Premiership clash against Highlands Park to allow star winger Sinethemba Jantjie to be buried on Saturday.